Whatever physical discipline you practice, you can get deeper into it by examining the interactions of your breathing with your physical practice. 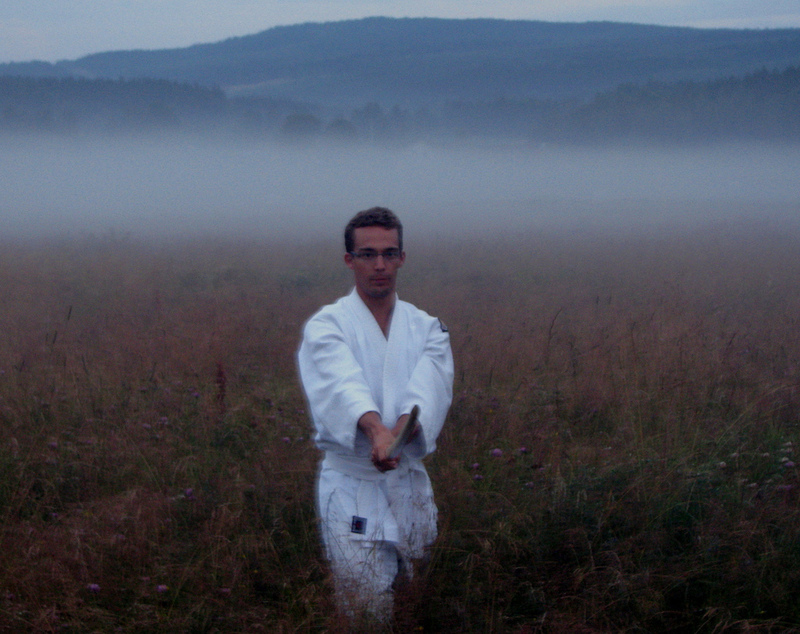 Martial arts, shooting, yoga, running... anything is made better by paying a bit of attention to your breath. This is not some mystical spiritual practice. Your breathing and your heartbeat are the two most fundamental rhythms of your being. In martial arts we pay a LOT of attention to the rhythm and timing of our walking cycles, but (at least in my classes) somewhat less attention to breathing. That doesn't mean that I think it's unimportant - I just have other stuff to focus on first. Today I made an interesting connection between a little piece of respiratory physiology that I already knew about, and my sword practice. Try this... Take a long, steady breath in until you're full up, then stop. Did you notice a tiny hitch in your chest when you changed from breathing in to holding? Now, let your breath out slowly and smoothly, and stop. Did you notice the vibration as you stopped? almost like a little spasm in your breathing muscles? Keep that in mind - it turns out that hitch can affect the cleanliness of your sword cuts. Yesterday I noticed that slowing down and starting the exhale slightly before I started my menuchi cuts cleaned up my lines a good bit - It took that little hitch out of my cuts.